Michael Minkevich is a Board Director of Intellectsoft. a boutique IT solution provider headquartered in Palo Alto, CA. The company’s mission is to help global organizations overcome technology challenges of Digital Transformation with the focus on new and emerging technologies, such as Cognitive Computing, Decentralized Applications, Internet-of-Things and Augmented Reality. 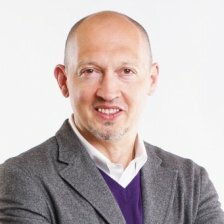 Michael has spent more than 18 years in the IT industry in various technical and executive roles and has extensive experience of building large scale distributed service organizations.As a recognized expert in product engineering he also serves on the boards of several early stage technology companies related to digital health, IoT, machine learning, cloud IT infrastructure and AI. He holds a M.S. degree in Computer Engineering from Novosibirsk State Technical University and has also completed business studies in Stanford GSB and MIT Sloan School of Management.